In aggregates, your operational effectiveness is directly linked to the hours your plant runs and the material you process. Additionally, every piece of equipment must work in concert with each other and be reliable enough to stand up to the harsh environmental conditions. Most of all, the systems must be safe and comply with NEC and MSHA requirements. With these parameters in mind, Automated Drive Systems designs, builds, sells, and supports both AC and DC variable speed drives that are built for mining, and can be tailored to your specific requirements. For years, aggregates producers have had to either leverage equipment designed for the oil and gas industry, or had to purchase standard industrial equipment, which often requires several pieces of equipment to form a complete solution. An example would be a slurry pump; many producers utilize converted DC traction motors to drive their high HP pumps. The drive systems produced by many oil and gas-specialized companies are designed and built in-house by those companies from a component level. This results in your operation being tied into a single supplier for service, and at the mercy of the vendor for long-term support. ADS got our start in aggregates from helping a customer in this exact situation. 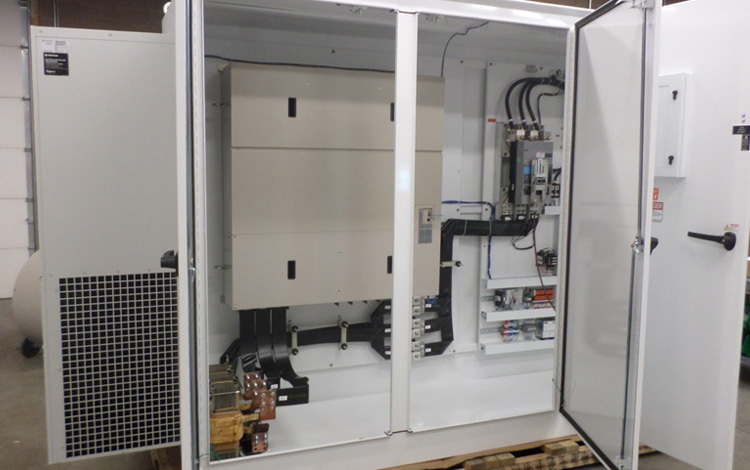 Our client had a large DC drive on a dredge pump that was custom-engineered by an oil and gas-focused company. They had experienced issues in the past with the initial design and were in a critical situation where it was unable to run, and the manufacturer wasn’t available for support. We assisted the client with trying numerous “solutions” offered by the OEM, which did not get the equipment running again. After receiving some initial parts, we discovered that there was a design revision along the way that prevented the new parts from correcting the issue. Ultimately, ADS specified, designed, and provided a solution that utilized off-the-shelf available, industrial-hardened components in a package that was specifically tailored for the client’s dredging operation. We can supply small and large horsepower motor drive packages for applications including dredge, slurry and process pumps, wells, rotary screens, dewatering screens, feeders, and conveyor systems. With in-house capabilities for both low and medium voltage AC, as well as DC systems, our experience makes us an invaluable partner. Furthermore, we have partnered with drive manufacturers like Yaskawa that also embody our core values of producing top quality, reliable products, but also have dedication to supporting their customers. As a repair center, we are still able to repair and obtain parts for Yaskawa products that are decades old. Have a drive question that has you or your vendors stumped? Need new drive systems for a specific application? Call us at 402-858-5560. We never charge for telephone-based support on any brand of drive, any time, whether you purchased it from us or not. Call us for more info about our Drive Systems.